Facebook added music sharing elements to its news feed and ticker just six weeks ago, but already 1.5 billion tracks have been shared on the social network. Given that Facebook has over 800 million active users, it means a fair portion of Facebookers are already sharing music on the site. One of the major partners in the new sharing functionality, Spotify, has added "well over" four million users since the announcement at F8. After a rocky start that saw complaints from secret Celine Dion fans whose guilty musical pleasures were suddenly broadcast to all their Facebook friends, it seems that Facebook-loving Spotify users have taken to sharing their listening habits with pals like rappers to Lamborghinis. How many of these new subscribers have come directly via Facebook isn't clear, as the integration came very shortly after Spotify's launch into the US. 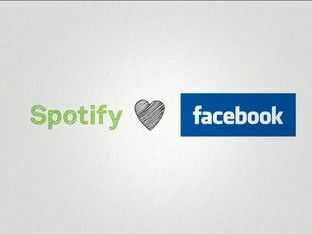 Other smaller music services have enjoyed the PR boost that the Facebook integration brought them, with Deezer attributing some of its 10,000 new users a day to the social tie-in, and Earbits, MOG, Rdio and Slacker also reporting increased success since F8. "Some of our biggest music developers have more than doubled their active users, while earlier-stage start-ups and services starting with a smaller base have seen anywhere between a 2-10x increase in active users," wrote Casey Maloney Rosales Muller on the Facebook developer blog. With Facebook "getting closer to a wider roll-out of Timeline and the Open Graph", expect to hear more from the social network in the near future.